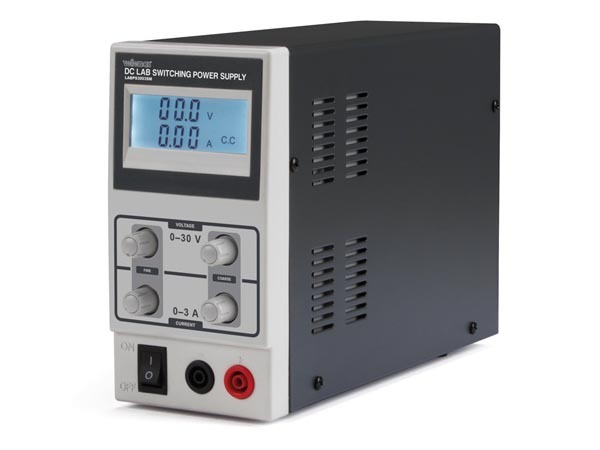 Velleman LABPS3003SM is a small regulated bench power supply with variable voltage and current limiting facilities, with coarse and fine adjustment. 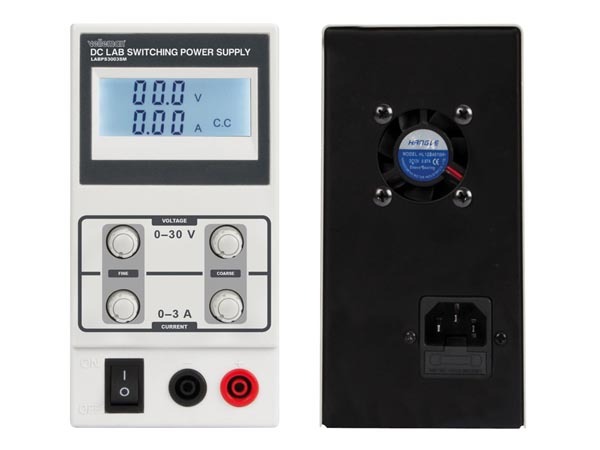 Clear indication of load current and supply voltage on two LCD displays, Current limiting protection. Housed in a metal case with mains on/off switch.